The mission of Flux Factory is to support innovative and collaborative art works. It is thus primarily an incubation and laboratory space for works that are in dialogue with the physical, social, and cultural space of New York City (though collaborations may start in New York and stretch far beyond). The goal of the Flux art collective is to create a forum where Flux artists can collaborate with each other as well as others in an experimental lab that produces new works. These new works force participants to work with people they’ve never worked with before, or with unfamiliar media, or formal constraints. Flux Factory supports work that reflects upon and alters public space in dynamic ways. Flux Factory is also a public and community space in itself. It provides a computer center, performance space, publishing equipment, and a monthly Thursday night dinner and salon that has become a well-known venue for artists and intellectuals to present both finished pieces and, more importantly, works-in-progress. 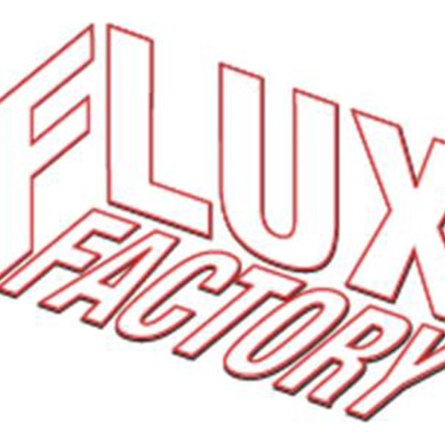 Flux Factory began in 1994, in an old spice factory in Williamsburg, New York City. Its original members were undergraduates at the New School For Social Research (now New School University). About four years later, with a new stage built and twice as many members, the Flux Factory evolved into a site for art events and performances of all kinds. 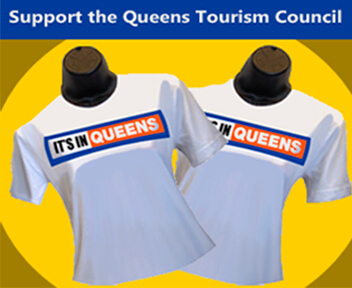 Flux became an official 501 (c)(3) nonprofit in 1999 and moved to 43rd Street in Long Island City, Queens in 2002. After six wonderful years, we’re now packing up and moving to 39-31 29th Street in Long Island City. Our new building is an 8000 square foot, 3-story converted greeting card factory two blocks north of Queens Plaza. For now, our projects are taking place all over the city and beyond.